Taking Inventory on Myself. Work towards being your personal best. 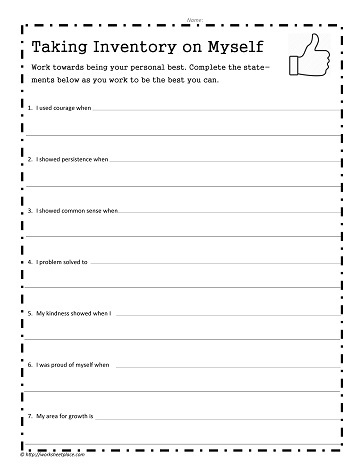 Complete the statements below as you work to be the best you can.